Klahanie, WA (cla-ha-nee) is a neighborhood on the Issaquah Plateau that is a planned unit development. Known for its desirable location and well-built homes, Klahanie has become a suburban destination for Microsofties and a multitude of Eastside dwellers. It is centrally located to many Eastside employers. It boasts many recreational opportunities, include swimming pools, tennis courts, and basketball courts. The housing stock of Klahanie is made up predominantly of newer, single-family, suburban homes. 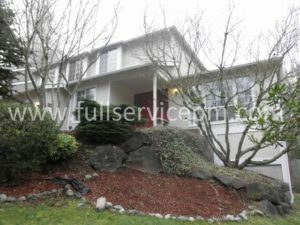 We provide a full suite of property management and maintenance services to Owners and Tenants in nearby neighborhoods — including Bellevue, Issaquah, Redmond, Kirkland, Sammamish and more. Therefore, if your Klahanie house needs a top-level property manager, or you are a tenant looking to rent a property, we can help. We know all of the Eastside neighborhoods, market rents, and find the best fit for each owner and tenant. Rental homes on Klahanie range from apartment buildings to row-style townhomes to 'old-style' classic residential homes. If you need a property manager for an older home with character or a newer, in-fill townhouse or apartment building, Full Service Property Management can take care of your needs. We can also take care of your property maintenance needs as well. Our staff of trained property maintenance personnel know how to work efficiently and get the job done right.